This 5th annual waterfront celebration brings together locals, fishermen, lobstermen, local chefs, pirates, mermaids, kids and grands, and visitors alike! Timber to Tides at Vinegar Hill Music Theatre 6-9pm – Celebrate the local shipbuidling heritage, enjoy live music by Stolen Mojo, munchies, drinks, and an auction to benefit Arundel Conservation Trust. Historic Walking Tour 1-3pm Brick Store Museum, learn about the history of seafaring and shipbuilding in Kennebunk and Kennebunkport. Merchants Treasure Hunt – pick up a map and find your bootie about town in this pirate quest. 10am-5pm, maps at Chamber office and local Kennebunkport hotels and inns. Kennebunkport Walking Tour 3-4pm From White COlumns, stroll the historic streets of Kennebunkport, captains mansions and tales of yore. Village Art Walk 5-7 Friday visit the Maine Art Hill Studios, Maine Art Show and Maine Art Gallery community and more local ar gallereis, part of the 2nd Friday Art Walk. Friday Pirate Party Crawl begins at Spirit of Massachusets at 8pm, then Alissons, Ports of Italy, and Old Vines Wine Bar. 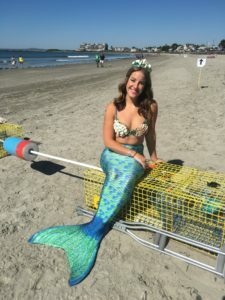 Saturday June 15 2019 Sailors & Sirens 5k fun race at 9am at the Pilot House tent, mermaid & sailor costumes encouraged – hosted by the Downeast Divas. For little runners, there’s a Dolphin Run 1k. Post Race party at Pilot House. Launch Tour to Goat Island with New England Eco Adventures 10-12. A “Captain’s Cook-Off” will take place at The Waterhouse Pavilion in Kennebunk, this chef competition over seafood, blueberry and maple specialties should be dishy as local talents compete for a panel of peers, 11-1pm with local food trucks and Kennebunk’s Farmers Market as well. There will also be kids cooking contest. A Captain’s Garden Party is 2-5 at Captain Lord Mansion & The Captain Jefferds Inn & Maine Stay Inn. “Historic Reenactment of the sinking of Isadora” 2-2:30pm at White Columns. KBIA Cove Walk 2-4pm at Kennebunk Beach Improvement Association. 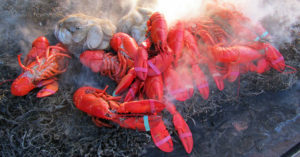 Saturday’s Maine Lobster Bake at The Pilot House will be held with entertainment 4-7 on the Kennebunk River. 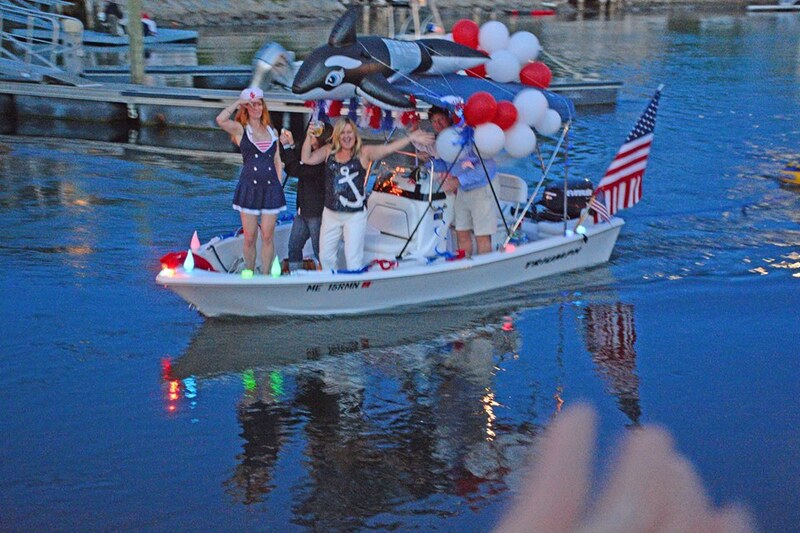 Saturday night’s “Rock the Dock” event 8-11pm at Yachtsman Hotel and Marina, a great place to watch the boat parade. River Lights Boat Parade is LAUNCH’s signature event on the Kennebunk River at 9pm Saturday, local boat owners are invited to deck their boat decks with lights and lavish decorations and parade in formation from Colony Beach up the Kennebunk River while spectators line the River banks to enjoy the flow and show of lights floating past (might plan your spot now at Stripers at The Breakwater Inn, Nonantum Resort, Arundel Wharf or The Boathouse Bar). Launch’s“ Last Boat” in the parade will be filled with local families battling cancer, so be “shore” to cheer for them. Kudos to the Chamber for organizing such an inclusive event. 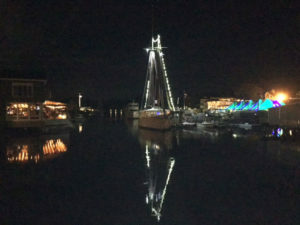 Sunday morning, June 16 2019 LAUNCH weekend concludes with the traditional Blessing of the Fleet at Cape Porpoise Pier, wishing captains and crew a safe and bountiful season at 11:30am. Merchants Treasure Hunt – pick up a map and find your bootie about town in this pirate quest. 10am-12pm, maps at Chamber office and local Kennebunkport hotels and inns. See our Top 10 Reasons We LOVE LAUNCH! Other LAUNCH events during the weekend include Cove Walks, Goat Island Lighthouse Boat Tours, a Shipping Village visit, historic maritime tours with costumed characters by The Brick Store Museum and White Columns – Kennebunkport Historical Society, and a Buoy Bounce. 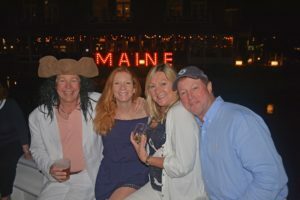 Leave it to the locals to launch such a fun festival, the week following the Kennebunkport Festival June 4-9. Why dry up when you can party in your preppy nautical attire all season long?! 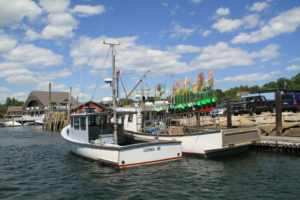 Sea you at LAUNCH, where Kennebunkport, Kennebunk and Arundel celebrate local seafood, shipbuilding, and salute fishermen, lobstermen, captains and crew. Kennebunk and Kennebunkport’s deep nautical history and passion for the ocean are what make this Maine seaside community such a special place. For seaside lodging during the Launch festival, see our guide to inn and hotels in Kennebunk and Kennebunkport. For the best places to eat in the Kennebunks, see our restaurant guide. 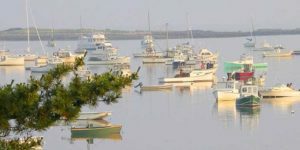 For boat charters, sailing and whale watching, see our guide to boating on the Kennebunk River.